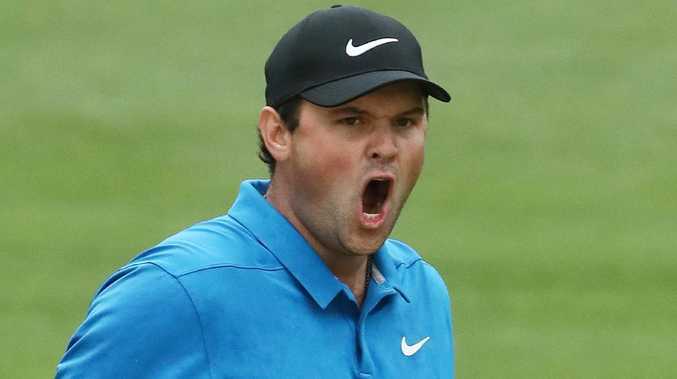 Is Patrick Reed the most hated man in golf? Patrick Reed isn't just disliked on the PGA Tour. He wasn't exactly popular at Georgia, where he played college golf before he was kicked off the team and transferred to Augusta State. "They all hate him - any guys that were on the team with him [at Georgia] hate him and that's the same way at Augusta," Kevin Kisner, who was teammates with Reed on the victorious 2016 Presidents' Cup team, told Golf Digest. "I don't know that they'd p*** on him if he was on fire, to tell you the truth." Kisner didn't overlap with Reed at Georgia, and several of Reed's college teammates declined to back up Kisner's comments, according to Golf Digest. Reed has been a lightning rod for controversy and criticism since he became the youngest player to win a World Golf Championship, and called himself a "top-five player". At this year's Ryder Cup, Reed told The New York Times he was "blindsided" that he wasn't paired with Jordan Spieth, and said that "the issue's obviously Jordan not wanting to play with me." A Team USA player told The Post Reed is "so full of s***." According to captain Jim Furyk and Justin Thomas, Reed knew about the pairings weeks in advance. Reed responded by criticising Furyk, saying he didn't communicate well and disagreed with his decision to sit him down twice during the matches.